Teaching reading in a small group setting has always made sense to me. 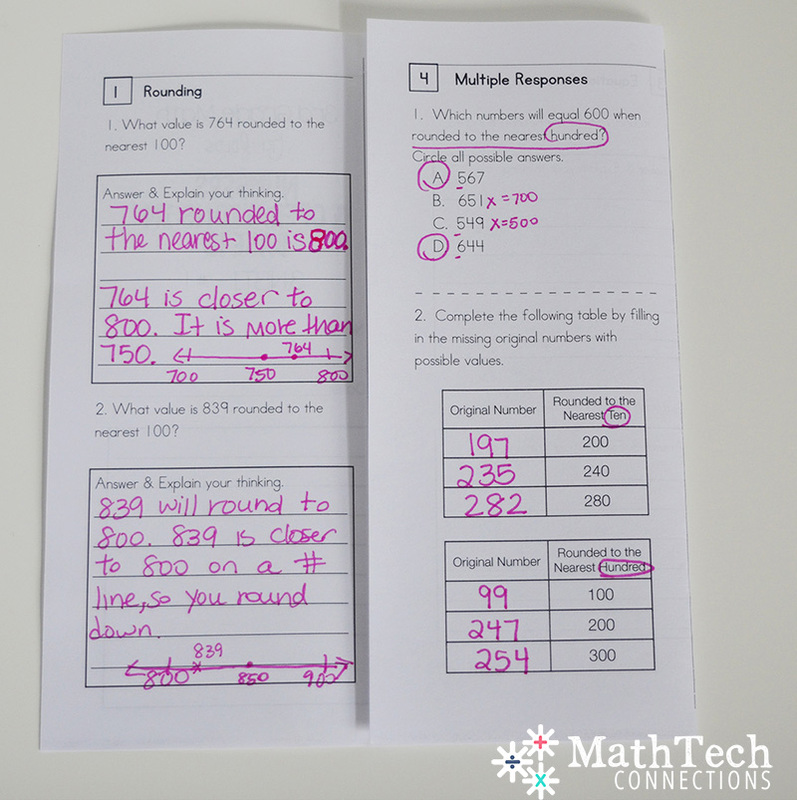 I’ve been doing ‘centers/guided reading’ back since my 2nd year of teaching (in 1st grade). 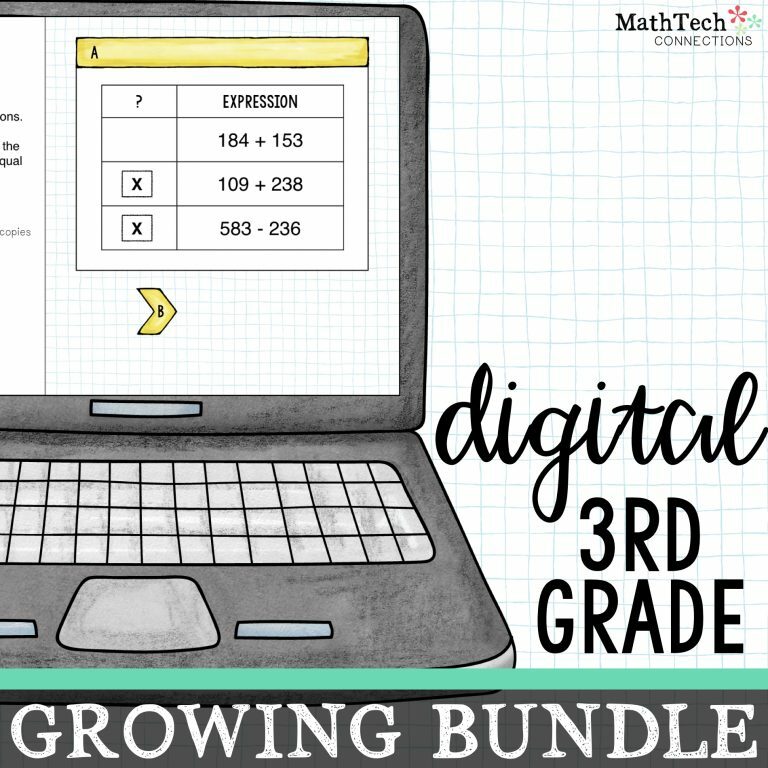 Well – I think it was my first year of third grade that I started looking into teaching math in the same method – small group. I have never turned back! I LOVE how I can give immediate feedback to each student. I LOVE how even the shy, quiet students will open up and participate. I LOVE how the focus is on quality and not quantity. The groups may only last 15-20 minutes, but I feel like I reach each student. Now – they don’t always ‘get it’, but after the small group – I know who doesn’t ‘get it’ and can help them in other ways. 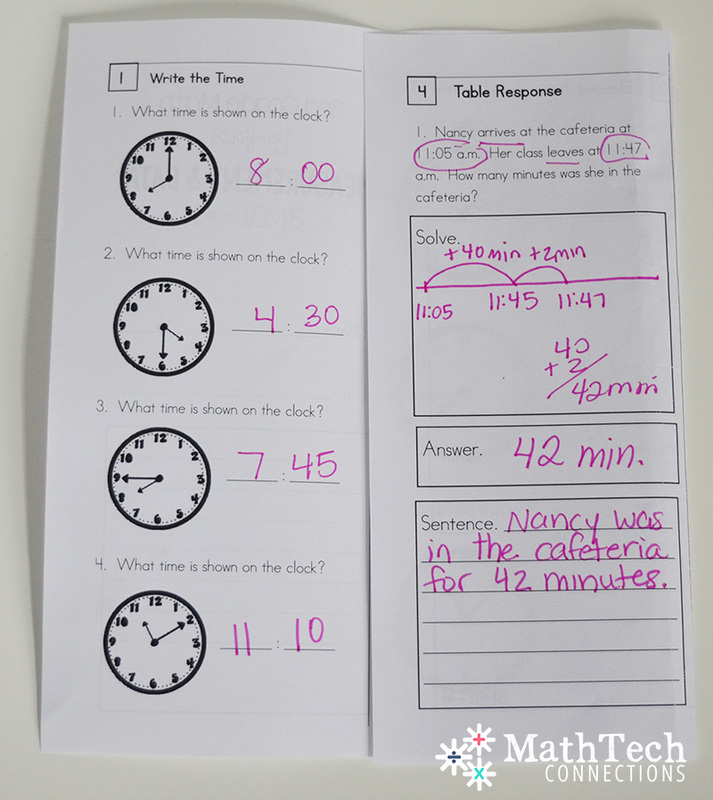 HOW OFTEN DO I DO MATH STATION? This changes – weekly – and it’s only been 4 weeks 😉 We did not do math stations the 1st or 2nd week. We just started learning about the rotations on the 3rd week of school. So, we’ve only had 2 weeks of practice. 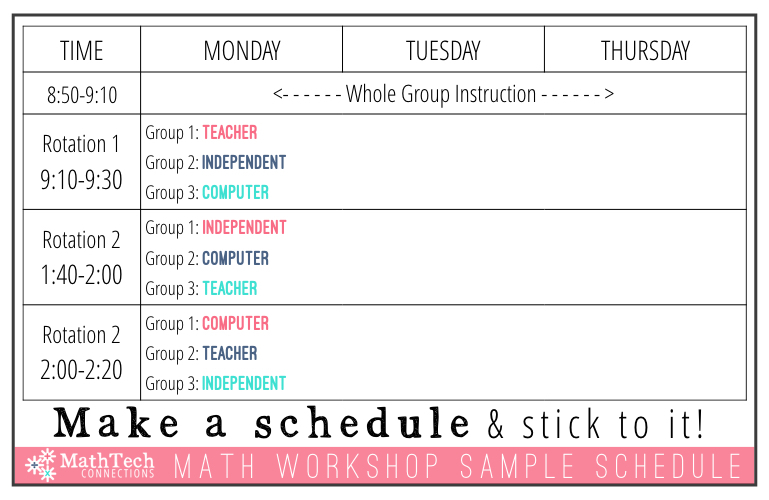 I have math stations planned for THREE times a week: MONDAY, TUESDAY, and THURSDAY. I complete a whole group lesson in the morning – followed by one center/small group rotation. I then finish my 2 other rotations in the afternoon after recess. — We then have: specials, snack, reading block with writing integrated, lunch, recess. WHAT DO YOU USE FOR WHOLE GROUP LESSONS? …We were told what standards to teach and can pretty much teach it anyway way we want 🙂 We just need to make sure we cover all of the standards. We are given a map for the entire year that suggests which standards to teach at what time and for how long. I use that to map out my lessons plans. I say I – but REALLY it is our AMAZING third grade team that works together to help put our lesson plans together. I then go in and add the resources that I am comfortable using in my lessons. I don’t do every lesson – For example, I only taught lessons 2 and 3 from this module (Telling time to the minute). I read over the fluency practice and concept development to get ideas of ‘what to say’ and ‘what to focus on’. 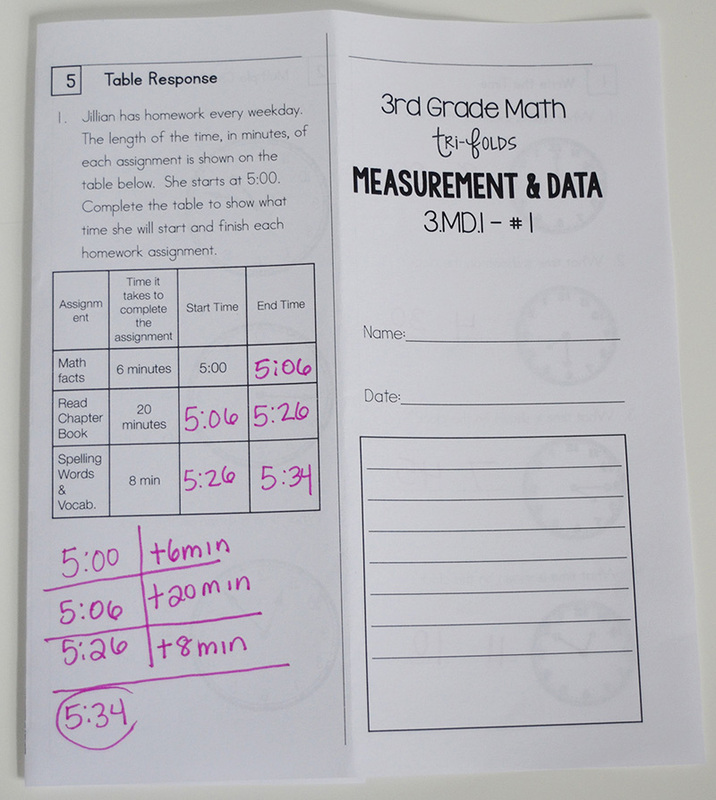 I then pull out the Lesson 2 Problem Set page and Lesson 2 Homework page and complete these two in small group. I place the Exit Ticket at my INDEPENDENT math station for students to complete BEFORE they move on to the math center. HOW DO I USE MY MATH TRI-FOLDS??? I completed this tri-fold in SMALL GROUP during our math rotations. I completed Section 1, 2, and Section 3 whole group. I then moved on to small group and completed the rest of the tri-fold in small group. The focus was on drawing a number line to show time. HOW DO I USE THE TEXTBOOK??? In this particular unit I did use the textbook. I think I might have used a total of 2 pages from the math book. I pick and choose which questions follow the standards. I like doing this so I don’t overwhelm the students with too many topics. 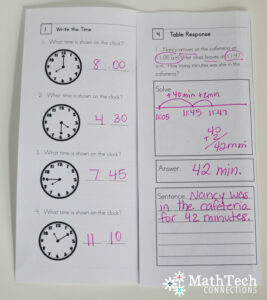 I can this way focus on telling time to the minute – which some students are still struggling with. I plan to place those students on IXL time during their computer station. HOW DO I ORGANIZE MY GROUPS?? I had a pretty math rotations display on my wall last year, but it required me to move the students and I didn’t like that. So, I went old school. I used 3 small pocket charts and used index cards to label my groups. See picture below. Who do I need to meet with 1st thing in the morning? These are my struggling students. I need at least 1 person that I think is a very good team player in each teach. 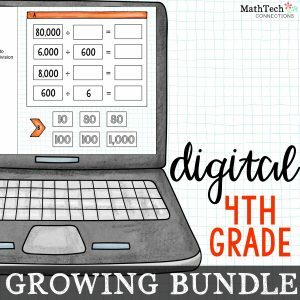 Someone who can help during independent work or computer station. Are there any students who can’t be in the same group? WHAT DOES INDEPENDENT PRACTICE LOOK LIKE??? You can kind of see where independent practice in stationed on the picture above. There are three student desks put together by the math rotation display. There are 2 bins where students know what is expected of them. Below is a closer look. I use these two bins to hold the sheets the students are to complete independently. The first sheet has an independent practice sheet that will tell me if the students understood what we went over in whole group instruction. This can be an Exit Ticket from Engage New York or a practice sheet related to the topic. 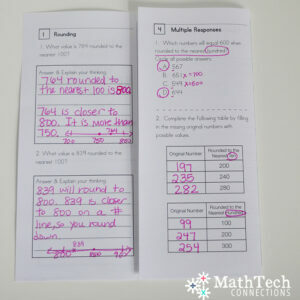 They complete this FIRST – independently (they are allowed to ask a partner for help to get them started, but not the entire sheet) and place in a plastic pocket by the bulletin board labeled ‘DONE’. I check these and students fix any errors if needed during snack time. These are short, so they are easy to check. AFTER the exit ticket, they complete a Math Vocabulary Foldable. 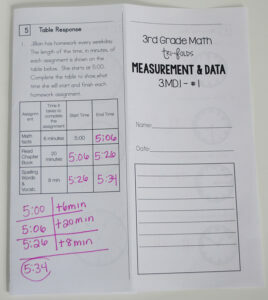 Student math interactive notebooks are stored in black bins organized by group. 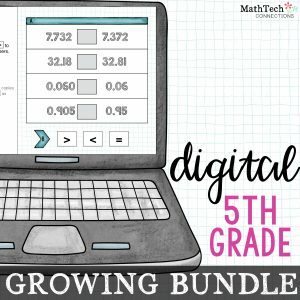 My school has purchased a subscription to IXL Math. 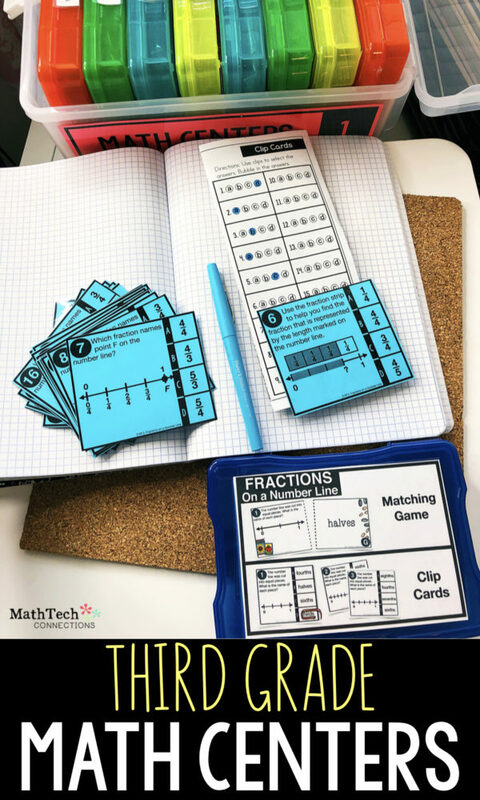 I have made tracking sheets that the students use to record their scores inside their math notebooks. I have them glue it at the back of their notebook. I also LOVE the website MangaHigh, but I have not let the students know about this site just yet. I want them to become familiar with IXL first. Basically – I do 3 rotations a day. They last about 20 minutes each. The three rotations include: Teacher, Independent, and Computer. I teach via this model 3 times a week. Wednesday is a short day, so it’s whole group lesson and partner work that day. Friday is usually some sort of assessment – or we are catching up because we went to the computer lab that morning. It will never be perfect, but nothing is. I still feel that this model lets me reach each and every student at their level. I know who ‘gets it’ and who needs more help =) I will continue to add to this model and share with you all here…. I have a question about record keeping. 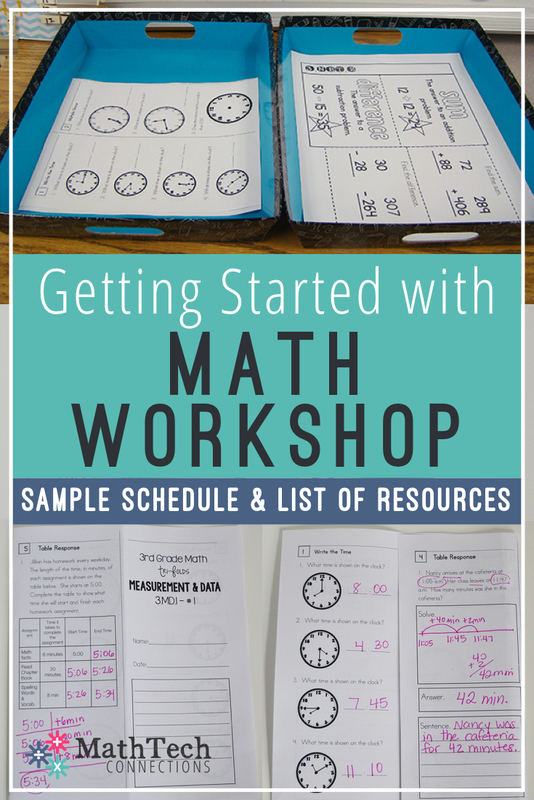 Do you check ALL the notebooks, independent work, task card responses, etc? I really love all the information you’ve shared, but I’m very intimidated by the amount of correcting and record keeping.